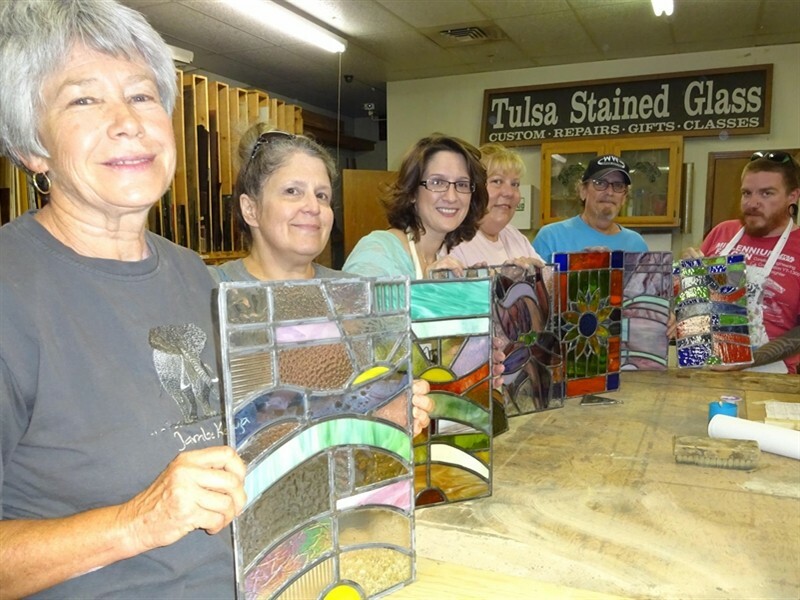 Learn the basic art & technique of the age old craft of stained glass. 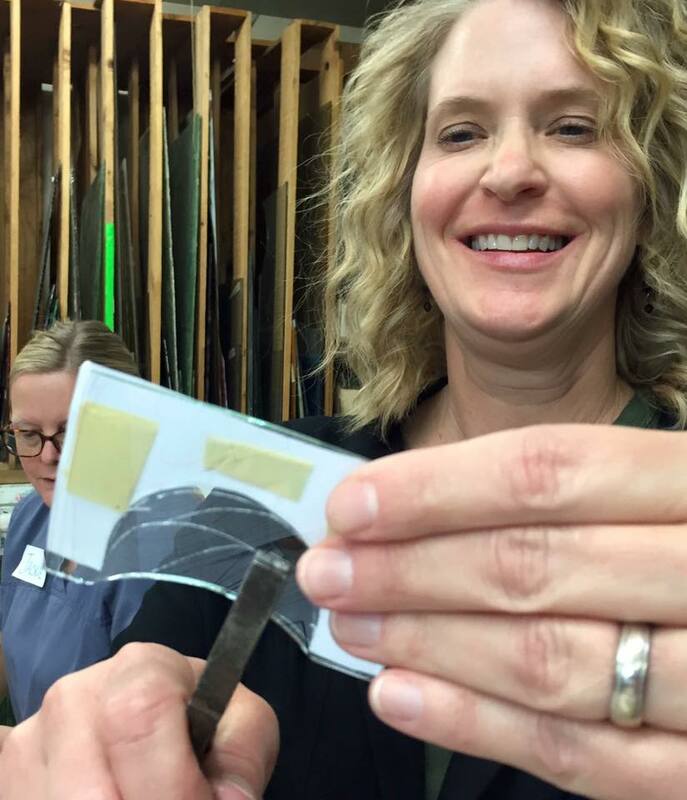 Skills learned include design, pattern-making, glass cutting, panel assembly, soldering and cementing. 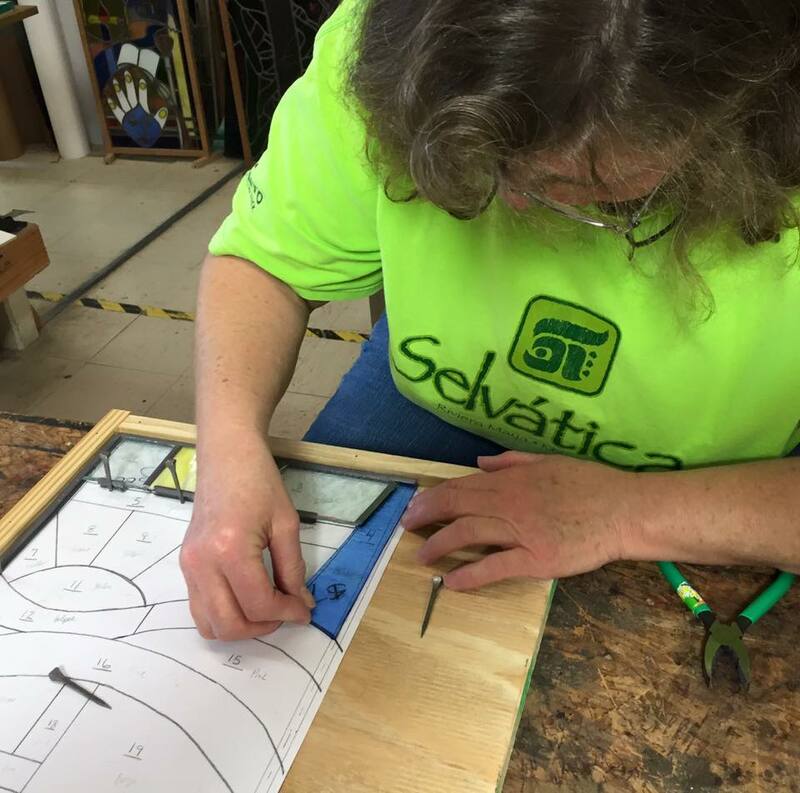 You’ll practice your skills while building a 10×16 leaded panel. You will also learn the additional technique required to build with copper foil. 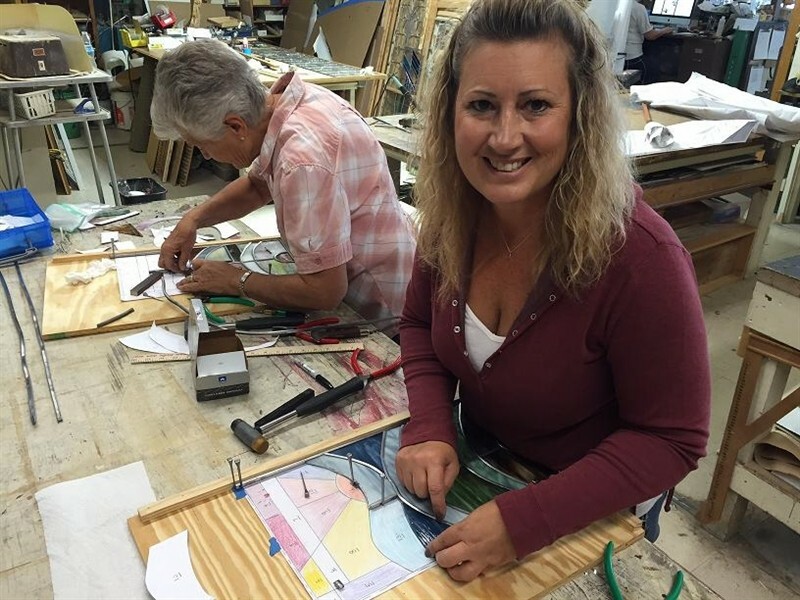 You will be using the same materials and processes used to build authentic leaded stained glass windows that have withstood the test of time and the elements for hundreds of years. 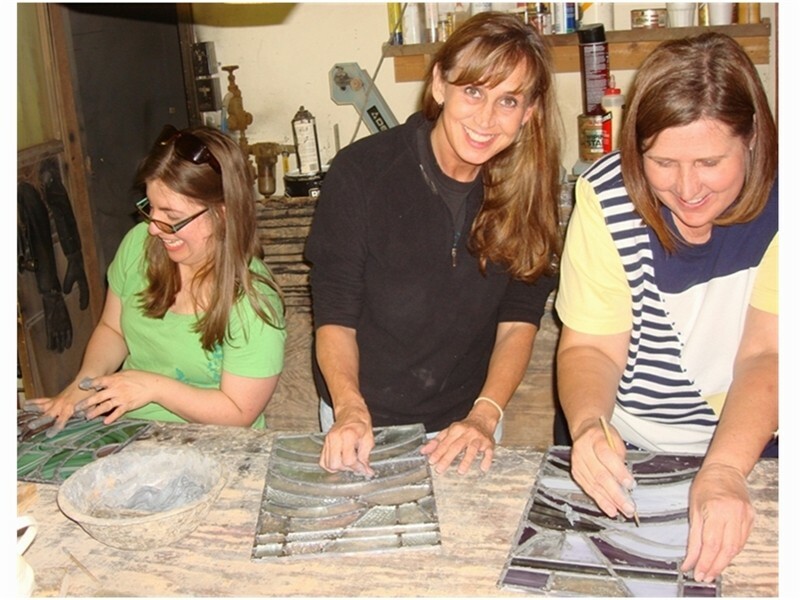 Upon completion of the course, you will have the fundamental skills necessary for making basic stained glass windows, mosaics and more. 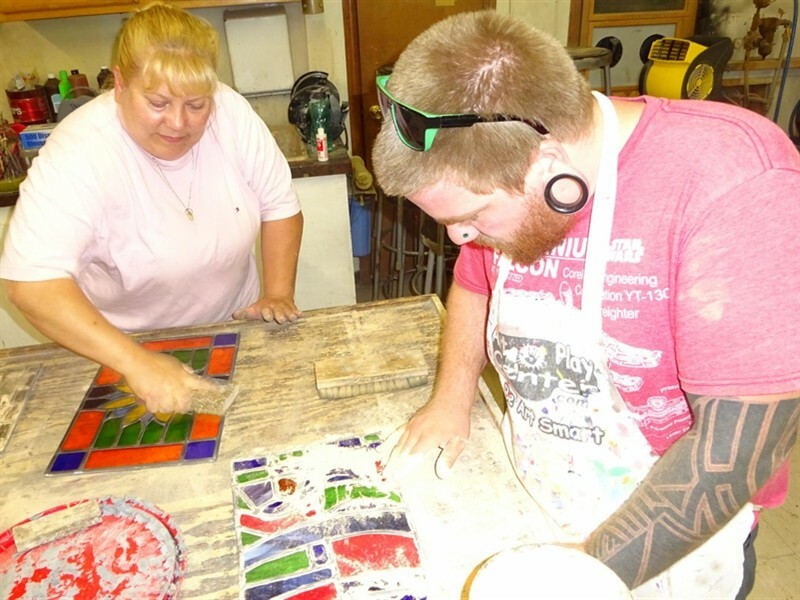 Classes are available on Thursday evenings several times each year. They meet for 2.5 hour sessions for eight weeks. Materials for projects are paid by the student at the end of each class period. Adults only or 16 yrs or above if accompanied by a student parent. Rescheduling and cancellations are only accepted up to 10 days before the event date. Call studio and our sales associate will be happy to assist you to cancel or reschedule. A 20% fee will be charged on cancellations. Allow 30 days for refunds.